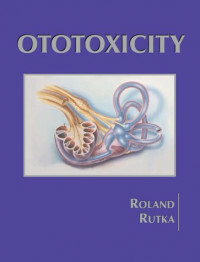 'Ototoxicity' is a compendium of information on the ototoxic potential of clinically useful drugs. Each section of this thorough text is written by a leading authority in the field. The book reviews the important classes of medications known to cause ototoxicity and their mechanisms. Clinical manifestations, what is known about pathophysiology, strategies for prevention and treatment, and medical-legal issues for each class of compounds are reviewed. Auditory and vestibular monitoring and new therapeutic strategies that may prevent or minimize ototoxicity are highlighted in addition to discussing recent advances in protective therapy. Also included is the therapeutic use of the ototoxic properties of aminoglycosides in the clinical treatment of inner ear dysfunction.